by Paul D. Romano, P.E., a Guest View in the 3/1/15 edition of the UticaOD. 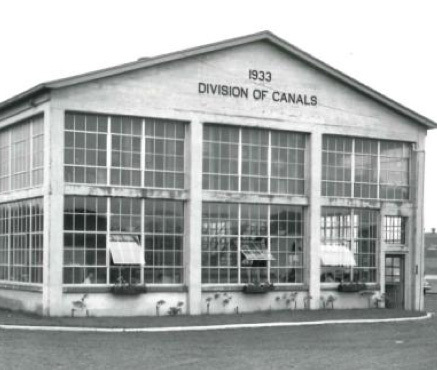 The New York State Barge Canal is the direct descendent of the Erie Canal and a network of connecting waterways, which have been in continuous operation since 1825. These waterways have played a pivotal role in the growth and development of the United States, as well as the Mohawk Valley. The Utica Harbor is an important landmark of the historic Barge Canal, and one of the finest examples of its original use as a commercial terminal. Purposely nestled close to Utica’s major textile industries, which sat adjacent to the Old Erie Canal at the time, the spatula-shaped Utica Harbor is a unique feature of the NYS Canal System. The Utica Harbor is the only harbor on the Barge Canal with its own lock. It also possesses one of the largest branches leading from the main channel passing through the Mohawk River to its end, only a quarter mile from Utica’s downtown district. In 2008, New York State legislation allowed for the transfer of approximately 20 acres of land to the Utica Harbor Point Local Development Corporation (ULDC).